In his final State of the City address, NY City Mayor Michael Bloomberg is calling for 10,000 electric vehicle public charging stations over the next seven years, including curbside fast charging. The move would fit with Bloomberg's image in pushing for environmental causes and clean technology solutions, such as the Taxi of Tomorrow project which includes a vision of electric taxi's. 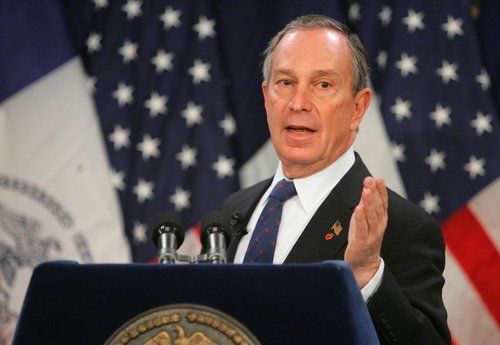 The speech lays claim to Bloomberg's leadership having made "New York City into an international leader on green growth and climate change." One of the plans he presented is to create a research institute for climate change: "Working with the National Parks Service and the Rockefeller Foundation, we'll develop plans for a world-class science and resilience center on Jamaica Bay that will be the premier institute for the study of coastal environments and climate change." Last fall, in the wake of Hurricane Sandy, Bloomberg and other NY politicians called for more government efforts on climate change. Bloomberg in particular endorsed Pres. Obama because of the work of his administration in clean technology one of whose results will be a reduction in the environmental footprint associated with climate change. Hoping to "make New York City a national leader in another new technology: electric vehicles," Bloomberg's speech describes a few steps NY City is taking to spur electric vehicle adoption. One is a pilot project to install curbside electric car fast charging stations, "that will allow drivers to fill up their battery in as little as 30 minutes as opposed to the normal 8 hours." Such fast charging stations would be a great boon in the Taxi of Tomorrow program. That program includes deployment of electric taxicabs developed by Nissan, built on the e-NV200 which in turn is built on the Nissan Leaf drive train. That means the e-NV200 electric taxi's would conceivably be able to use a network of fast charging stations conveniently located curbside. The next part of the plan is to amend the Building Code to increase the number of electric car charging stations in building parking lots. "We'll work with the City Council to amend the Building Code so that up to 20 percent of all new public parking spaces in private developments will be wired and ready for electric vehicles, creating up to 10,000 parking spots for electric vehicles over the next seven years." Currently office or residential buildings are a tricky place to install charging stations. It's unclear who will be responsible for the charging station maintenance, pay for the electricity, who owns the charging station, who pays for any electric service upgrades in parking lots, and so on. It means many people have a disadvantaged access to charging stations, because building owners may be unwilling to install charging stations. Amending the building code should help to create a requirement, but there are other knotty problems to solve. The next part of the plan is to add electric vehicles to the NY City vehicle fleet. "We'll add 50 more electric vehicles to the city's fleet of cars, and we'll put the first six fully electric taxis on the road — with the goal of making one-third of our taxi fleet electric by 2020." These plans are presented as part of a broader plan to improve NY City's environment. Some other plans include the largest bicycle sharing program in the country, new bicycling infrastructure, and recycling of food waste to reduce methane emissions from landfills while creating fertilizer. Moving to add more electric car recharging infrastructure should create the condition in which more people see the benefit of owning and driving electric cars. Well, now that you can't buy a soft drink in NYC, I guess they can use all that space they saved running the dispensers out of town to put in charge points. Then Bloomberg can tour his "gun free city" with his entourage of armed guards and make sure everything looks right to his Lordship.